We pride ourselves on quality and reliability! Meet with one of our reps to determine your exact needs! Contact Us Today! It doesn’t matter what kind of industry you work in. When a spill occurs, you need highly absorbent towels on hand to take care of the mess. Your employees are a reflection of your restaurant. 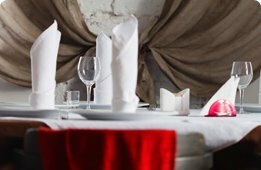 When it comes to restaurants, nothing quite says classy like fresh table linens and napkins. Roy's Restaurants has done business with Dust-Tex for over 15 years! 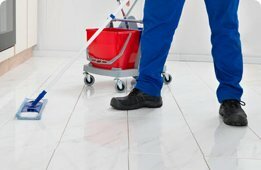 Dust-Tex is a professional company that stands by its customers 24/7. We are proud to partner with Dust-Tex for all of our linen and laundry solutions. The quality and consistency of their products is industry-leading, not to mention the best customer service on the island. Our last-minute and emergency orders are taken care of without hesitation, absolutely best in class! We have been working with Dust-Tex since the opening of Noe Restaurant in May 2016 and I have to say that since day one we always received a reliable, punctual and efficient service. Whether it's a last minute request for guests, particular quotations for our furniture or special projects, we always received a prompt and detailed answer that display their expertise and professionalism. Dust-Tex is a crucial partner for us and plays an integral role in our day to day operation, thank you very much for your continuous support!